During the fifties more Hells Angels Charters came into existence. In the beginning the different charters had nothing to do with each other, but after some years they united and a regular criteria of admission was laid down. From having been exclusively a Californian phenomenon, the club developed internationally in 1961. It happened when the first charter outside California was adopted – strangely enough - as far away as Auckland, New Zealand. During the sixties Hells Angels spread out to the East Coast of the USA and later to the Midwest. On July the 30th 1969 the first European Hells Angels charter was accepted in London, England. Today there are more than 275 charters in Europe alone. 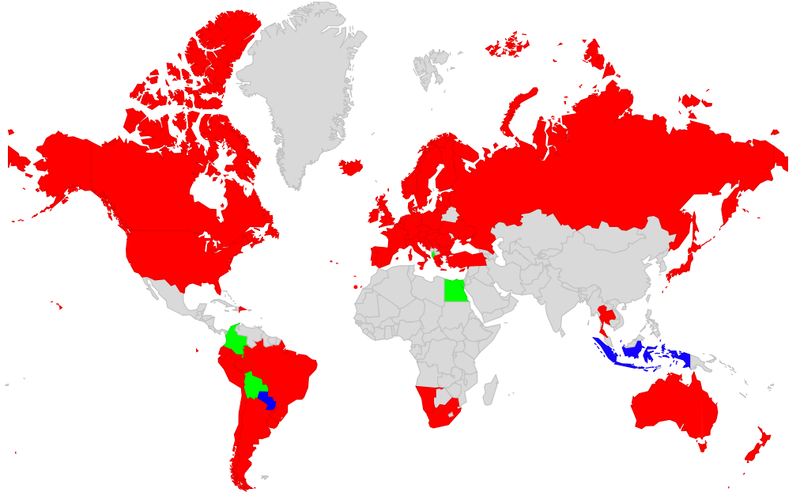 At the end of the Seventies, Australian clubs were admitted and in 1984, Rio de Janeiro, Brazil became the first South American charter. In 1993, Hells Angels came to the African continent with a charter in Johannesburg, South Africa. Eastern Europe got its own Hells Angels charter in the new millennium and since then many more countries have been granted the now famous winged Death Head. The Hells Angels Motorcycle Club has spread its wings all over the World. From Alaska and Norway in the high North, to South Africa and Argentina in the southern hemisphere. All around the globe from the Caribbean Islands to Turkey, who became the first Muslim country to join the club in 2009. Written by: HAMC Charleston U.S.A. The myth and legends surrounding the military lineage of the Hells Angels Motorcycle Club has, for decades, been cited as being from former members of the Hell’s Angels Bomber B-17 Group from World War II. This myth has been aided by incorrect reporting by authors who deemed it appropriate to align the Hells Angels Motorcycle Club (HAMC) with ex-service members returning from a war where excitement and adventure had become their lifestyle. Authors and newspaper correspondents, from a wide assortment of daily, weekly and other periodicals have made statements, not founded in fact. It has been stated that these former servicemen were alleged to have been drunkards, military misfits, and generally speaking substandard soldiers that would not adjust to a return to a peacetime environment. If any person, regardless of their association considered the content of the statements and inferences made, they would find these to lack any rational thought or concern for truthful reporting. A historical review of the exploits and accomplishments of the implied Bomber Group, 303rd Bombardment Groups (Heavy) 303rd European Theater of Operations (ETO) shows that this bomber unit did not tolerate malcontents, drunken pilots or aircrews. Such individuals, had they existed, would have seriously hindered the effectiveness of combat operations and would have been dealt with harshly and promptly. Documented records of the 303rd can be found in “Might in Flight”, Daily Diary of the Eighth Air Force’s Hells Angels, 303rd Bombardment Group (H), by Harry D. Gobrect, LtCol, USAF (Ret). One of the 303rd’s most famous B-17’s serial number #41-24577, commanded by then Captain Irl Baldwin, was named “Hells Angels”. This aircraft was unnamed until its fourth or fifth mission. The crew decided to adopt the name “Hells Angels” after the 1927 Hells Angels” WWI fictional Fighter Squadron movie by Howard Hughes. On May 13th 1943 the 303rd’s B-17F “Hells Angels” became the first 8th Air force B-17 to complete 25 combat missions. This feat has wrongly been credited to the “Memphis Belle” B-17 including the 1943 and 1990 “Memphis Belle” movies. The “Memphis Belle” B-17 was the first to complete 25 missions and return to the USA. “Hells Angels” continued to fly combat missions until December 13th 1943. When she completed 48 combat missions it was retired from combat. Shortly thereafter she was flown to the USA, rejoined by members of the Capt. Baldwin Crew and went on a morale boosting tour on war production plants. Hell’s Angels B-17 number #41-24577 was dismantled, for scrap, in 1947. 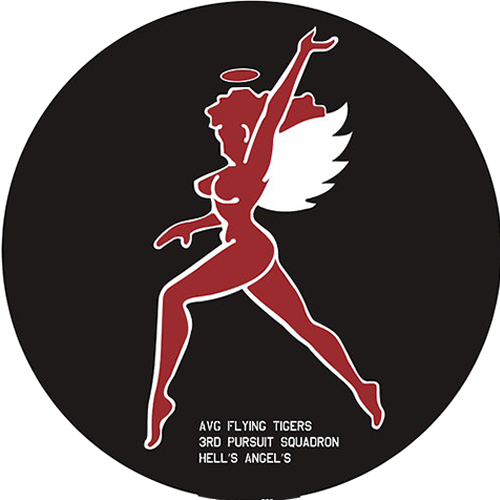 On January 7th 1944, by a vote of group and squadron commanders, “Hells Angels” became the name of the 303rd with “Might in Flight” being retained as the Group motto. Facts which have been undeniably proven show that the 303rd “Hell’s Angels” B-17F was only flown by highly dedicated, motivated and mission oriented airmen. They were not malcontents and did not report for mission in a drunken state. Crew pilot and commander, Capt. 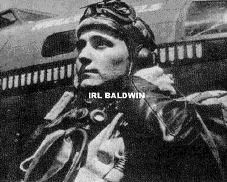 Irl Baldwin, completed a stellar military career, retired as an LtCol, and was awarded numerous valorous and meritorious citations. 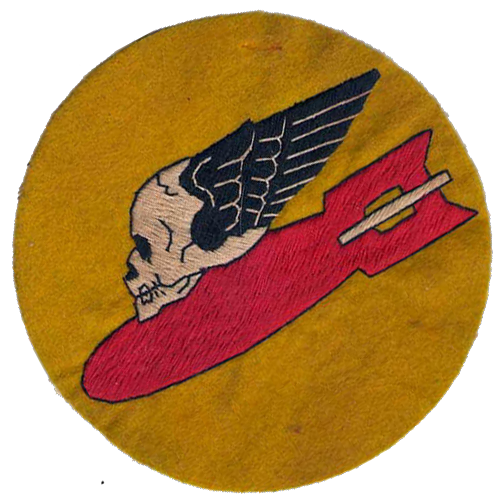 Records show that the 303rd became one of the 8th Air Forces best Bomb Groups. It operated from Station 107, Molesworth and Huntingdonshire, England from September 12th 1942 until June 11th 1945. During this time theGroup flew an 8th Air Force record 364 combat missions, 10721 sorties and dropped 26,346 tons of bombs on enemy targets. The 303rd is credited with 664 enemy aircraft destroyed, probably destroyed or damaged. They sustained 1,748 personnel casualties and lost 210 B-17’s on combat missions. The 303rd was the first 8th Air Force Bomb Group to complete 25, 50, 75, 200 and 300 combat missions. Available historical information from HAMC Berdoo and extensive research by the 303rd reveals that no lineage exists between the HAMC and the 303rd other than both organizations having the same name. 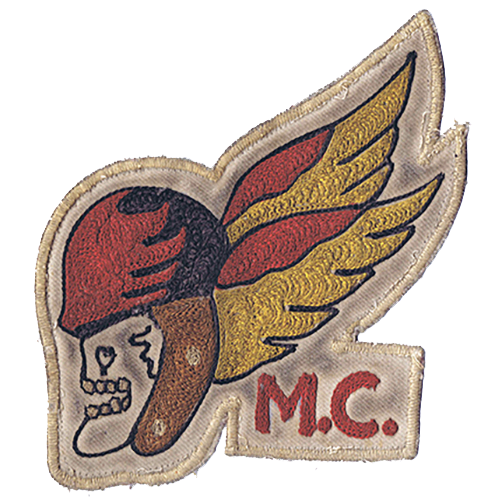 HAMC has copyrighted the name Hells Angels (in any form of spelling) in the US and internationally, along with all variations of the “Death Head” insignia of HAMC. These trademarks & copyrights are aggressively protected by HAMC, Corp. 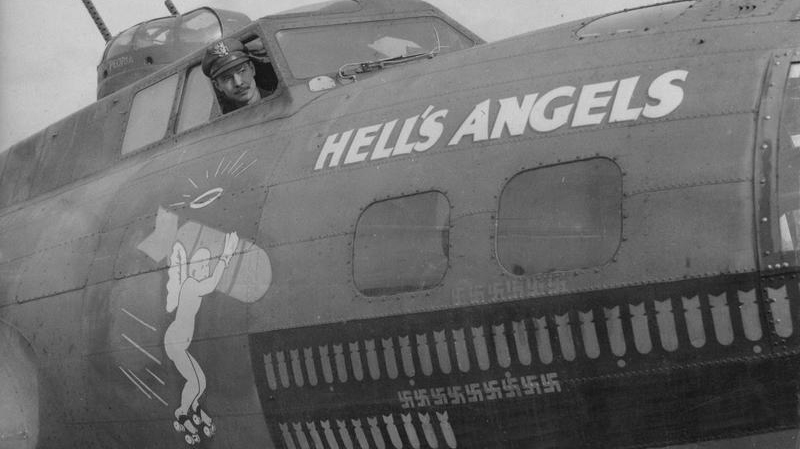 The name Hell’s Angels was adopted by no less than twelve B-17’s throughout WWII, from an assortment of organizations, additionally it was adopted by a B-26 Medium Bomber squadron, a United States Marine Corps fighter squadron and even on a P-38 Lightning fighter. 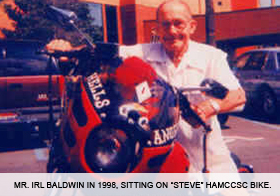 The former Squadron Leader of the 3rd Pursuit Squadron “Hells Angels” American Volunteer Group (AVG), Arvid Olson, was the only person with specific military lineage to an actual unit which bore the name Hell’s Angels that was affiliated with the foundation of the HAMC, which occurred in Fontana, California in March 1948. Arvid Olsen was an associate of the founders of the HAMC; he never attempted to or became a member of HAMC. The AVG, or more famously known “The Flying Tigers” (the name is credited to a United Press correspondent named McGrath for an article written on December 26th 1941) were a secret United States military operation entity, authorized and approved by then President Franklin D. Roosevelt, on 23rd of December 1940, under conditions of a SECRET Letter of Approval: refer to Official file 150, FDR Library, Memoranda 1941. The secret approval was declassified in December 1991, after 50 years, when the AVG was awarded the Presidential Unit Citation. 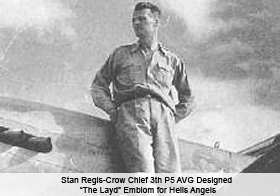 Additionally the pilots of the AVG were awarded Distinguished Flying Crosses. Ground crew personnel of the AVG were awarded Bronze Star Medals. After all those years the AVG veterans, that were still alive, received Veterans status from a grateful nation! This acknowledgement seems more like an afterthought to an intentional oversight, on the part of the government. Each of the squadrons, now with an approved name, designed their respective squadron insignia. The Hells Angels decided on a red colored silhouette of a very shapely female with halo and wings outlined in white. 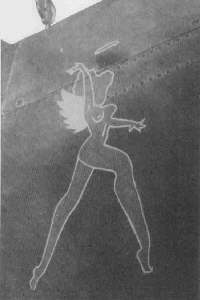 Each Hells Angels pilot had his own “Lady” painted on his individual aircraft; subsequently each “Lady” had her own personality. Yet the colors of red on white were the standard for the entire squadron. This same motif and insignia is used today by active United States Army, Marine Corps and Air Force squadrons, additionally a fighter squadron of the Israeli Air Force.s of the AVG. 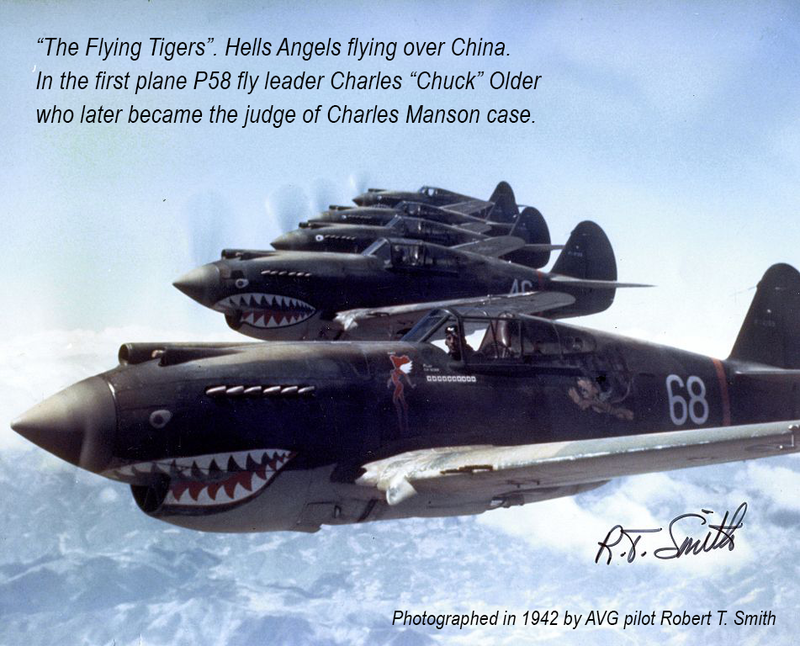 Erik Shilling actually painted his P-40 first, as Bond had gone off base to acquire the paint, whereas Shilling got paint on the base from Chinese personnel that were painting the Chinese Air Force insignia on the P-40’s. During the seven month combat operations of the AVG this unit acquired a record of 297 Japanese aircraft destroyed, as confirmed by British and Chinese Intelligence. Other sources have placed the total Japanese aircraft destruction, caused by the AVG, at well over 600 to 900, including aircraft destroyed on the ground during strafing operations. AVG losses were 4 pilots killed in air combat, 7 killed by ground fire, 3 died as a result of Japanese bombing while they were on the ground and 1 missing in action presumed dead. That reflects an AVG to Japanese kill ratio of 50 to 1, a record that has never been equaled. Chennault reviewed official Japanese war records, after the war. The Japanese reported the destruction of 544 AVG aircraft. Of note was the fact that at no time did the AVG possessed more than 100 aircraft in their unit. The AVG was disbanded on July 4th 1942, at which time few accepted returning into the US Army Air Force, most optioned to return to the US where they returned to active service or other war efforts. The reason many refused immediate return to active service, in China, was the manner by which Brigadier General Bissell, USAAF, presented the option to them. 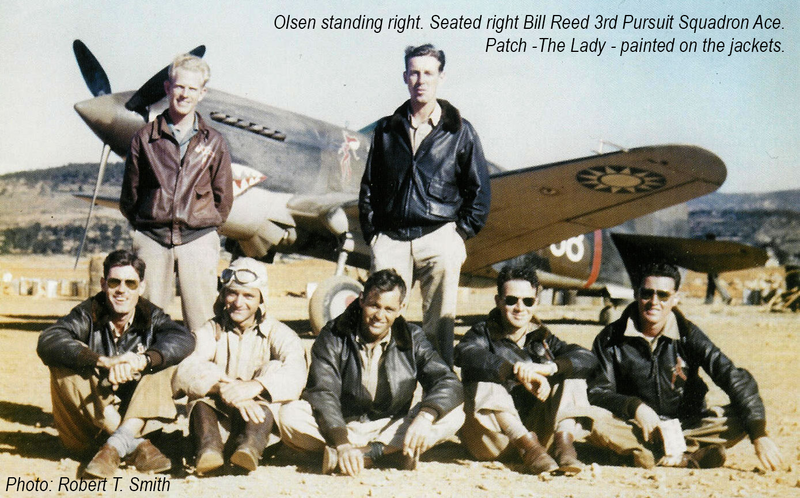 Bissell had been a long time adversary of Chennault and the Flying Tigers. 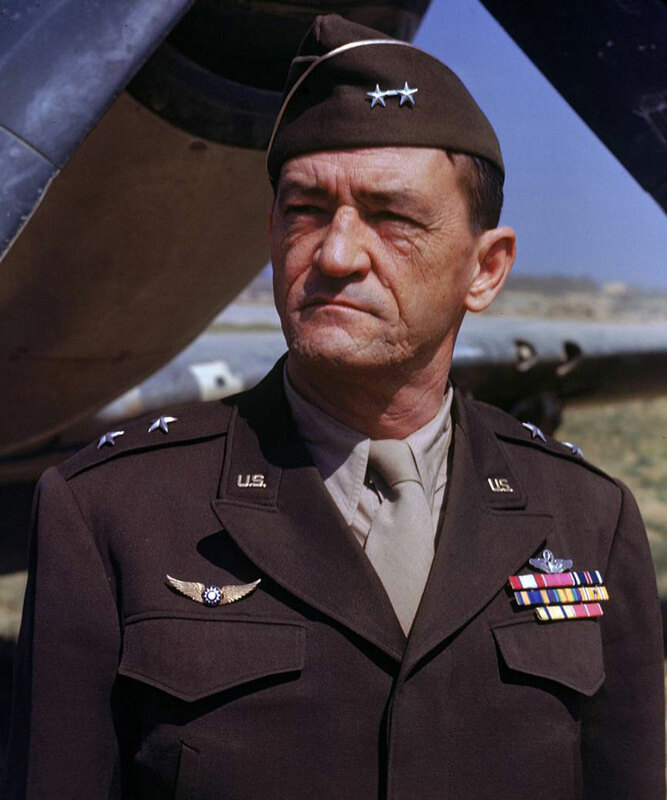 Chennault, who had accepted return to active military service, immediately prior to deactivation of the AVG, at the rank of Brigadier General continued to command the 14th Air Force in the China Burma Theater (CBT). 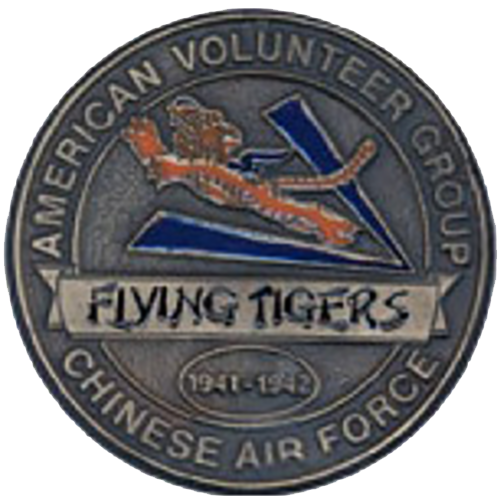 The 14th Air Force all referred to themselves as “Flying Tigers”, even though the real “Flying Tigers” had been deactivated on July 4th 1942. 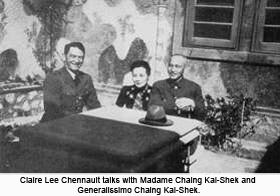 General Chennault was forced into retirement immediately prior to the Japanese surrender. At the official surrender ceremony, onboard the USS Missouri, General of the Army, Douglas MacArthur asked, “Where’s Chennault?” As a final insult General Chennault, founder and commander of the AVG, who had fought the Japanese Empire since 1937 was not even permitted to be present at the official end of hostilities, of which he had participated in for 8 years, unlike the 4 years of participation by other US officials at that ceremony. To answer the questions of lineage between HAMC and a military organization is that Arvid Olsen; “Flying Tigers” Hells Angels squadron gave the idea of the name to the actual founder of the Hells Angels Motorcycle Club, in Fontana, California. The selection of our colors, red on white, is a result of the association of Olsen with the HAMC founders, like the insignia of the 3Ps “Hells Angels”. 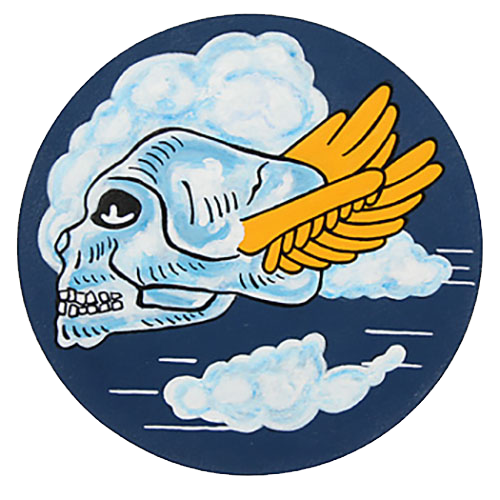 The insignia of the HAMC, our copyrighted Death Head can also be traced to two variant insignia designs, the 85th Fighter Squadron and the 552nd Medium Bomber Squadron. Frank Sadliek, past president of the HAMC San Francisco Chapter designed the official “Death Head” insignia. Arvid Olsen died May 16th. 1974 in Point Clear, Alabama.